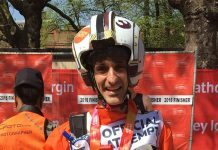 We couldn’t be happier to see this guy with that plaque. 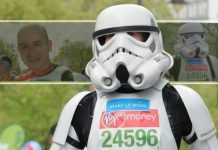 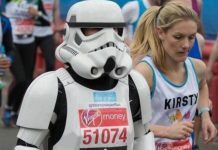 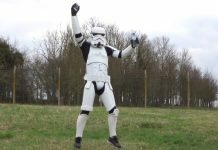 Jez Allinson – the Running Stormtrooper – claimed the Guinness World Record for the fastest person to run a marathon dressed as a Star Wars character. We’re very proud to be a small part of Jez’s journey, but all the plaudits should go to the man himself. 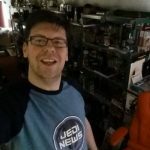 His Just Giving page is now up to 77%, so let’s pledge and help him get to 100%.